New Family Caregiver Support Group! Come outside and have fun on cross country skis! It's time for the 6th annual Methow Valley Ski for Women! This community event, taking place in Mazama on Sunday February 3rd, is designed for participation by all ages and skiing abilities. Participation is by donation only: all proceeds and donations will benefit Room One, our Valley’s own health and social service center. Trail fees are waived by Methow Trails for event participants and reduced rental rates are available. The only requirement: COME READY FOR FUN! See below for more details about skiing events and more! Attendees can participate individually or as part of a team in one of several events and games. Prizes will be awarded for costume creativity. This year's theme is Animal Kingdom. Costumes are not required, but encouraged. Never skied before? This event is for you! At Methow Valley Ski for Women, volunteer instructors will be available to teach you the basics and get you skiing before the event starts at 10:30. Need equipment to participate? Methow Valley Ski School and Rentals in Mazama are offering skis, boots and poles to those in need of equipment for the rental rate of $10.00/person. Does skiing make you hungry? The Mazama Community Center will be offering hot drinks and cookies immediately following the ski. Prizes for race winners and the best costumes will also be awarded. Afterward, head over to the Freestone Inn for a free lunch for participants. Come enjoy fresh air and fun skiing for a great cause in the Methow Valley! Oh what a night!! The 2018 Soup Dinner was such a success because you volunteered, gave generously, joyfully connected with each other, and showed up for Room One in so many powerful ways. Thank you, thank you! We'll post photos of the gathering this week, but in the meantime, check out this great video by Jamie Petitto! Give Methow in the month of October! Give Methow is a great opportunity to invest in Methow Valley non-profits and the strength they bring to this valley! For the month of October, any gifts made to organizations through Give Methow will be streeeetched by an anonymous donor of the Community Foundation of North Central Washington. 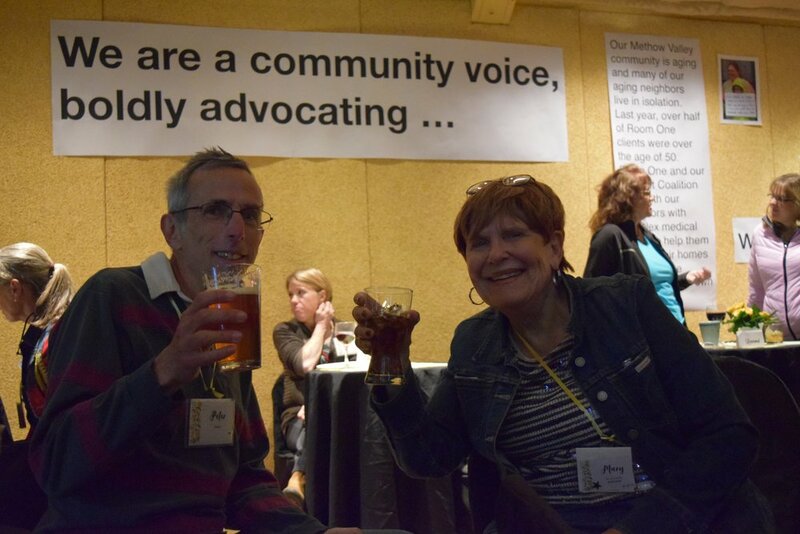 Thank you, dear neighbor, for choosing to give to the work that aligns with your values and helping to create a stronger, more connected Methow community. Soup Dinner Tickets On Sale Now! We hope you'll join us in celebrating the strength and connection of our community! The Soup Dinner is a time to gather, reflect, and move together as neighbors, near and far. Get your tickets online (CLICK HERE), visit us at Room One, or give us a call. We can't wait to see you there! The 2018 Soup Dinner is October 27th! Community Conversations with Candidates, July 31st! Join us on Tuesday July 31st at 5:30 for the premier screening of the Okanogan Youth Storytelling Project! The video will be followed by a conversation with candidates and community members about issues that are critical to youth in our county, we hope to see you there! Coming Together Across Differences Workshop, Sponsored by SURJ! We've hired for a new client advocate and are no longer accepting new applications. Room One: Room One is a health services and advocacy organization based in the remote Methow Valley of Okanogan County. To achieve our vision of a connected community in which all people have the opportunity thrive, we utilize an approach that meets immediate needs and challenges our community to get upstream of health inequities related to poverty and domestic violence. This dynamic approach includes 1) direct individual and family services, 2) prevention education and 3) advocacy for systems change. Because those most marginalized are at disproportionate risk for poor health outcomes, we position our organization to target the needs and build on the strengths of our most vulnerable community members. The Client Advocate would be a strategic member of our One-Stop Support Center team. Our One-Stop Support Center provides individualized support and access to social and health services. In our advocacy work, we lead and collaborate on community initiatives that build well-being and health equity, such as affordable housing, childcare, disaster recovery, and teen-friendly health services. 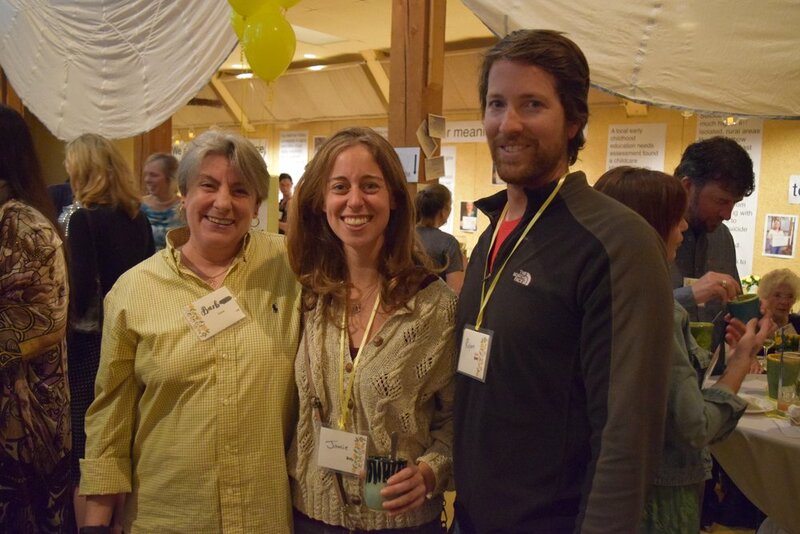 As we move into our 20th year of operation, we are committed to a bold, responsive and strategic vision for a healthy and violence free future in the Methow Valley and beyond. We are looking for a new team member that is excited about addressing persistent inequities with determination, strategy and heart. Room One has a joyful, connected staff culture and offers flexible, family-friendly hours. Position Description: The Client Advocate is part of a five person team, implementing a full range of social work services at Room One to ensure families and individuals have access to community resources and pathways to meet self-determined needs. Responsibilities include participating in the shared leadership of Room One’s One Stop Support Center, providing support services to individuals, youth and families facing systemic barriers to wellbeing, developing program resources, and monitoring program outcomes. Promote the well-being of Methow Valley families through application of direct support service strategies: assessment, connection to crisis support, referrals, individual strength-based advocacy, and coordination of community services. To apply, please email a cover letter and resume to Adrianne@roomone.org. Closing date is March 6th. For more information call (509) 997-2050. On December 30th, 2017 at 1:30 at the Merc Playhouse Michael Brady will bring works of art to life through musical representations in the form of Mussorgsky’s Pictures at an Exhibition followed by Debussy's Images (2ème série). The performance will close with Beethoven's last Piano Sonata. In Michael's words: "Debussy’s three musical representations are relatively soft, almost abstract pieces. Mussorgsky’s boisterous Pictures at an Exhibition, fun throughout and quiet only occasionally, is probably the most justifiably famous suite of musical images for the piano. The Beethoven sonata is relatively short and in two movements, the first a visceral eruption of angst, frustration, and rage. In complete contrast, the second movement is a set of somewhat resigned or accepting, almost quiescent variations of truly extraordinary beauty." Entry is by donation, and Michael suggests a donation of $25 per person. All proceeds will benefit Room One. We hope you'll join us for this musical evening! It's time for the 5th annual Methow Valley Ski for Women! This community event, taking place in Mazama on Sunday February 4th, is designed for participation by women and girls of all ages and skiing abilities. Participation is by donation only: all proceeds and donations will benefit Room One, our Valley’s own health and social service center. Trail fees are waived by Methow Trails for event participants and reduced rental rates are available. Prizes will be awarded to the winner of the competitive race and the relay race, as well as for best costume. Bring your creativity and come in costume! This year's theme is mythological characters or creatures. Help us build a community that takes care of every person - Give a Gift to Room One Today! You are a powerful source of strength for our neighbors. Thank you for giving and for being part of Room One. Click here, or the letter below, to give a gift now! We are so honored you are part of Room One. Have a wonderful holiday season! We are Filled with Gratitude! Soup Dinner Tickets On Sale Today! The Soup Dinner is our favorite opportunity to gather as a Room One community and celebrate all that we're part of, where we've been and where we can go, together. We hope you'll join us! Get your tickets today online (CLICK HERE), swing by Room One with a check or cash, or give us a call. We can't wait to see you there! Save the Date for the 2017 Soup Dinner - Oct. 28th! New Mothering Group Begins Sept. 21st! Join us for the latest Mothering Group beginning next Thursday September 21st here at Room One. In this group you will meet other new or expecting mothers and share the joys and challenges of motherhood. Learn together about health and well-being for mama and baby, tips and tricks for calming your new little one, ways to support healthy development and more. This 12 week series will meet on Thursdays from 1-3, beginning September 21st. Call Room One to learn more or register today! 509-997-2050. Reba Baudino and Sharon Cohen are offering a new, 8-week support group for individuals seriously committed to recovery and abstinence from an addiction. 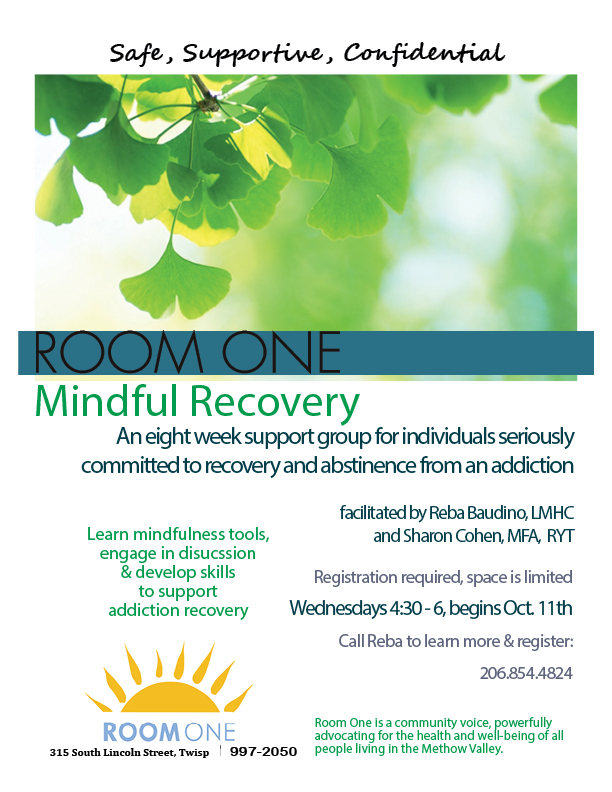 This group will focus on developing mindfulness skills to assist and support addiction recovery. Each week will include skill development and supportive discussion. Group begins on October 11th and meets weekly on Wednesdays from 4:30 to 6. Call Reba to learn more about the group and register--space is limited! Reba: 206-854-4824. Missed the Wayne Horvitz Quartet Concert, but believe in supporting our Methow Valley children? Check out these other great opportunities to support the Little Star South Collaborative (LSSC). The LSSC is seeking community support to fund scholarships for families, renovations, and other classroom infrastructure. You can also check out the Classroom Wishlist to donate things you may have at home or purchase specific supplies. Visit Little Star's website for more information, or click the links below to give directly! Thank you for building a healthier future for our community.